For Don Becker, earning a college degree meant bouncing around between colleges, serving as an officer in the U.S. Army, picking up classes where and when he could afford them, and scrimping and saving every step of the way. He eventually earned that degree, and the rise that followed is as powerful an example of the American Dream as you will ever find. The self-made man began as a grocery clerk/bagger at The Kroger Company at the age of 19 and, during his remarkable 43-year career with the company, ascended to the position of executive vice president. He befriended custodians and mailroom employees as willingly and easily as executives, and his legacy is the countless lives he touched and mentored along the way. Becker died suddenly in February 2011. More than 4,000 people attended his memorial service, which had to be hosted in Cincinnati’s Duke Energy Center, and, according to his daughter Mackenzie Becker Rice ’99, the outpouring of support and memories that flowed into the family’s home in the weeks that followed showed the extent of his legacy. Becker, who grew up with very little and remembered receiving a strict allotment of just two new shirts per year, was outspoken not only in his support of the less fortunate but also on the importance of access to higher education. 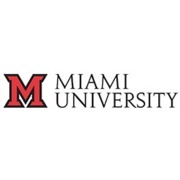 Among the three scholarships created in his memory is the Don Becker scholarship at Miami University, created by Becker’s wife, Lynn, and the Becker family. The scholarship was established in support of the Miami Access Initiative—a program that enables students whose families have household incomes of less than $35,000 per year to attend Miami tuition-free. Becker’s views were not only known to his family but also to his business counterparts. When word of the Don Becker Scholarship got around, The Kroger Co. and dozens of former co-workers, business acquaintances and companies he worked with stepped forward to support the effort. A significant number of the gifts to the scholarship fund have come from the Cincinnati International Wine Festival, which chose the Don Becker Scholarship at Miami University as one of the beneficiaries of its charitable interests. Thanks to the Cincinnati International Wine Festival and other donors, two students have thus far benefitted from the Becker Scholarship, which has assisted them with tuition, room and board and other costs associated with a college education that they could not otherwise afford. Just like Becker’s legacy and life will serve to support and inspire the generations of future Miami students who benefit from the Don Becker Scholarship, the family still finds inspiration in his memory.